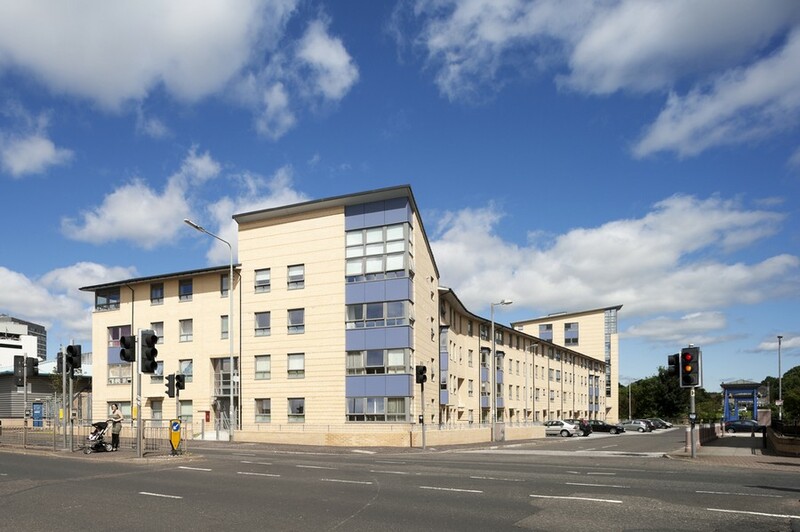 New Gorbals Housing Association commissioned A-S:L in 2008 to design 49 ‘very sustainable homes’, setting the challenge of developing an approach to energy efficient housing, that was transferable, and that the Housing Association could apply to future projects. Designs for the derelict brownfield site were developed in close consultation with the client and their tenant-led design committees and sought to reduce energy consumption and provide adaptable housing. 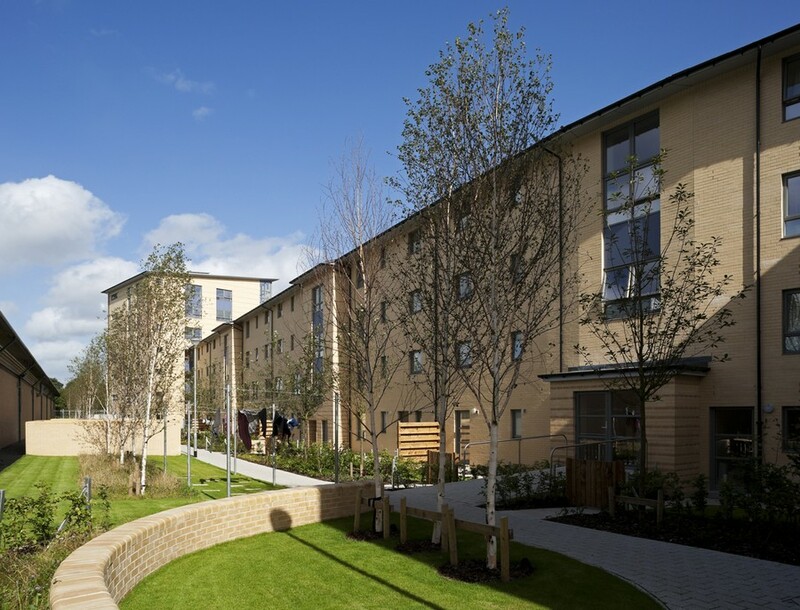 Working in collaboration with Gaia Architects, A-S:L’s in-house sustainability accredited architects developed an ‘eco-minimalist’ design ethos in line with our long-standing, pragmatic approach to sustainable housing. Breathable wall construction with excellent air-tightness characteristics and very high levels of insulation comfortably exceeded current Technical Standards and anticipated 2013 targets. 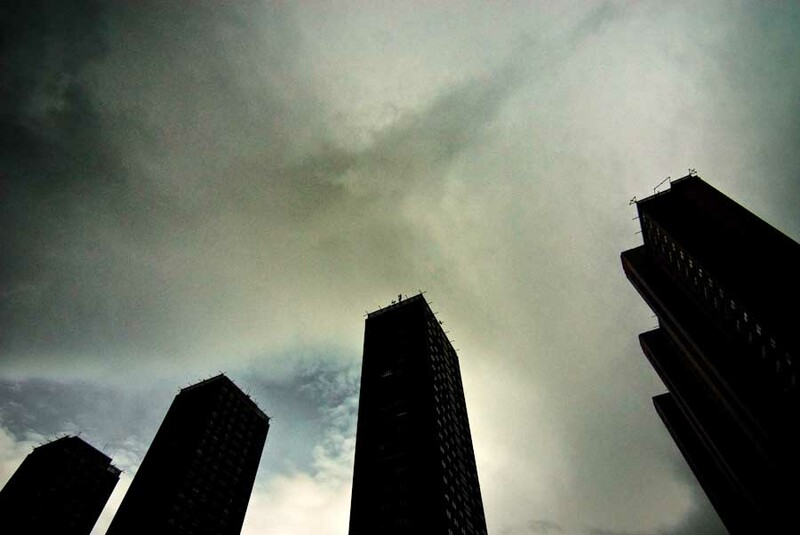 This approach minimises energy consumption and avoids extraneous technology to achieve a low carbon approach that is robust and easily maintained. 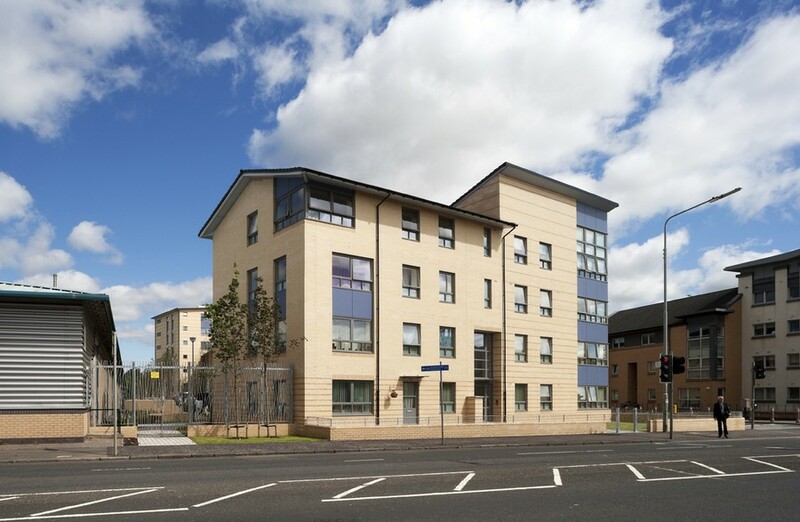 The site has a wonderful riverside setting overlooking the Clyde and Glasgow Green and is located at the northern end of McNeil Street in Hutchesontown in the north eastern area of the Gorbals in Glasgow. 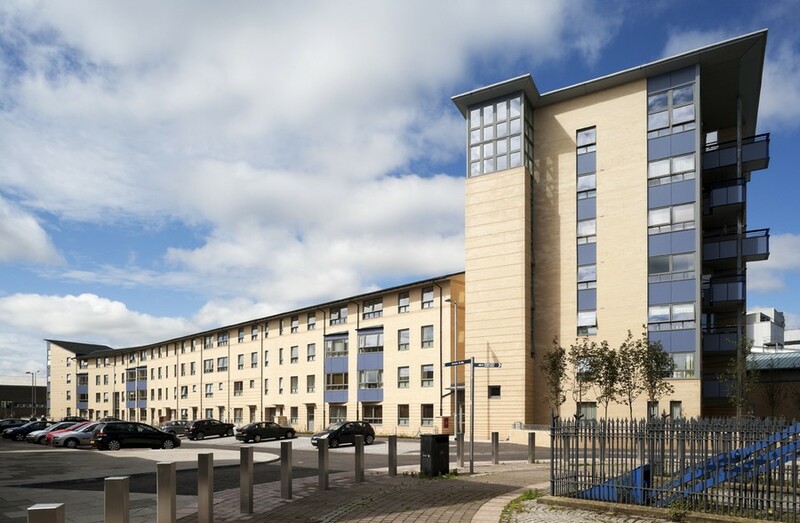 The site is 2km from central Glasgow, 1.2km from the Merchant City and 800m from Crown Street at the heart of the New Gorbals redevelopment. 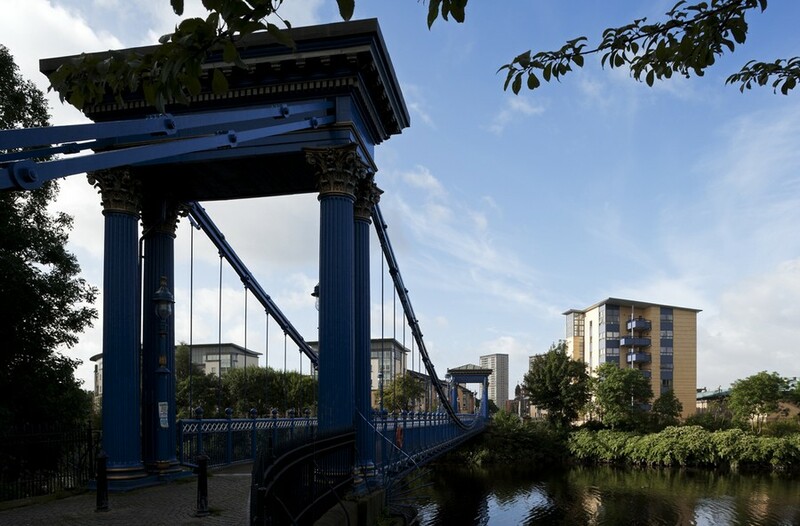 The project has been positively integrated, with the local walking and cycling network being located on a north south pedestrian route across St Andrews Suspension Bridge into Glasgow Green. 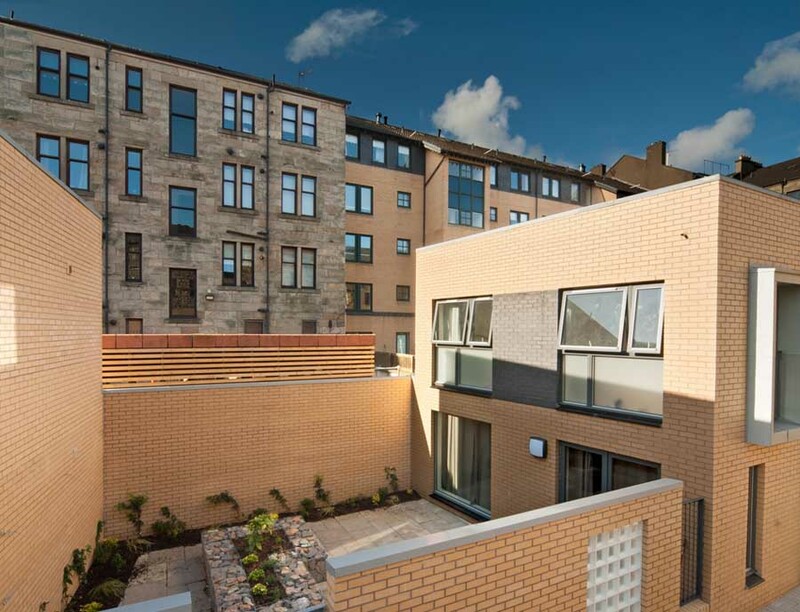 The urban block layout applies many of the established design characteristics of the New Gorbals area regeneration; a four storey perimeter block with a mix of flats and main door duplex housing around a communal garden court. 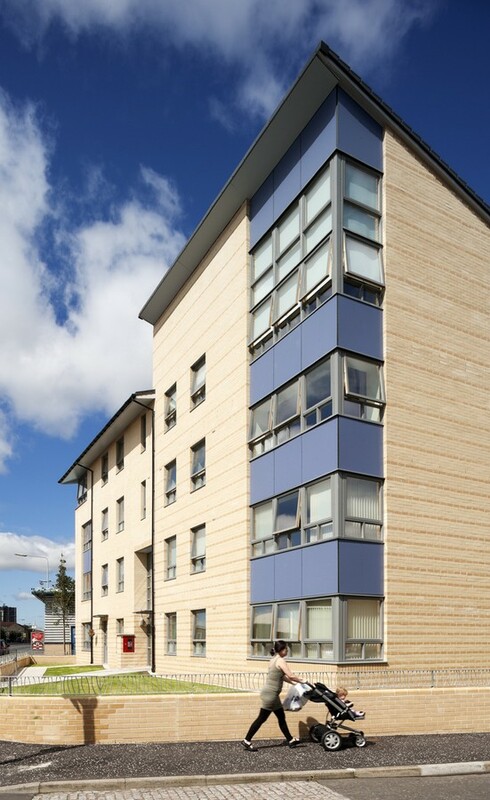 A shifting geometry maximises views to the river and Glasgow Green from the flats. Bay windows, bespoke metalwork and subtle brick detailing enliven the principal street façades. The block completes McNeil Street, framing the setting of the Victorian suspension footbridge to the Green. 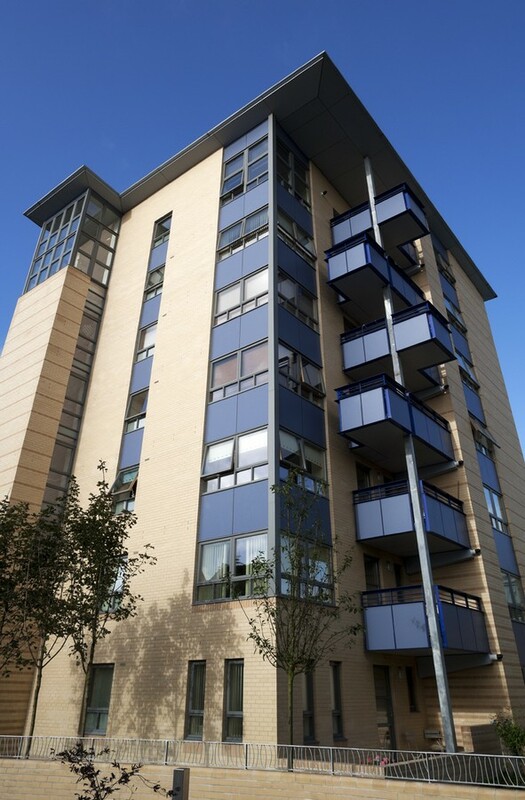 The McNeil Street terrace culminates in a striking 7 storey tower with dramatic corner balconies that command stunning panoramic views across Glasgow Green and the city. 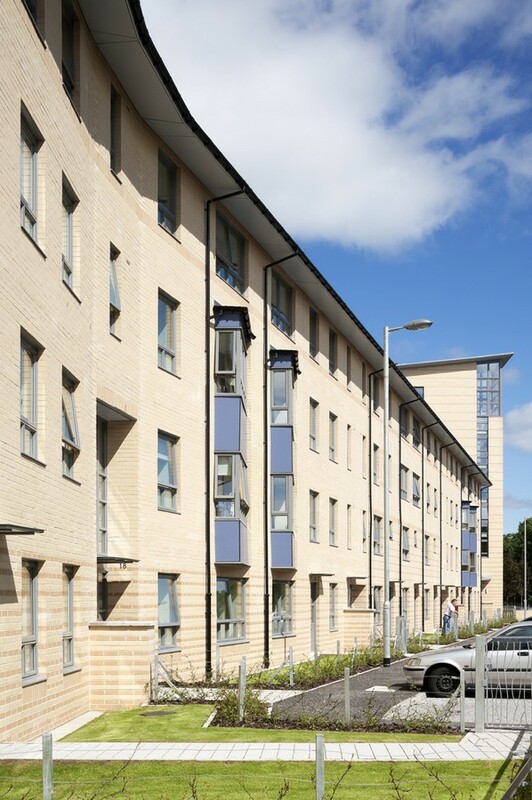 The built form provides a gateway into Hutchesontown from the River Clyde and Glasgow Green and encapsulates a private communal landscaped space providing a secure green amenity space for the enjoyment of the tenants. The project was constructed to Secured by Design standards and completed in June 2012, ahead of programme and within budget.